While we’ve already written about how the DJI Mavic Air is the best budget drone available, we have also been feverishly waiting for DJI to drop the Mavic 2. 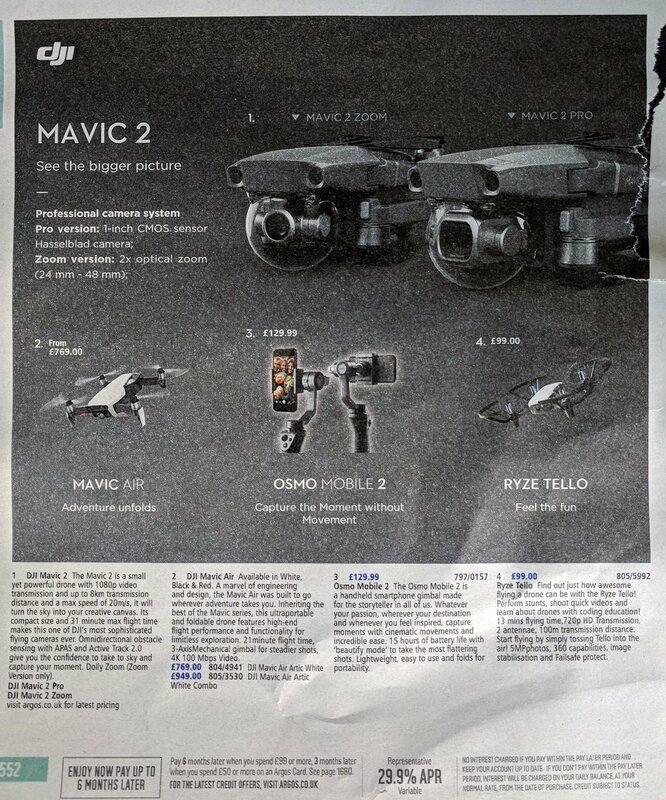 A recently released photo of a DJI ad reveals that the new drone will come in two variants: The Mavic 2 Zoom and The Mavic 2 Pro. The ad shows that the zoom version will have 2x optical zoom (24mm – 48mm) while the pro version has a 1-inch CMOS sensor Hasselblad camera that we’ve all been waiting for. The only big detail missing from the ad is, of course, the price. While the current version of the DJI Mavic Pro is around $1,000 ($1,100 for the platinum version), there’s no telling how much these two models will cost. Especially since the pro version has a Hasselblad camera, which can be quite expensive. Thankfully, DJI is the parent company of the Swedish camera manufacturer, so there may be some cost savings there. While DJI was originally supposed to hold a launch event earlier this month, there have yet to be any updates on when the official release is. We’ll just have to wait in anticipation for the new Mavic 2s to drop (hopefully before the end of summer). Let us know what you think about the new DJI Mavic 2 drones in the comments section below and be sure to subscribe to The Sitch for more DJI news and other entertaining reads.